While steering clear of sugar entirely is definitely the most effective way of preventing a cavity, it can prove surprisingly difficult to eradicate it from your diet completely. There are lots of foods with hidden sugars, and even those which are labeled as “sugar free” aren’t necessarily completely devoid of the sweet stuff. To determine which foods you should avoid, you need to understand the different terms used to describe sugar in ingredients lists so that you can make informed decisions. Where Do I Find Sugars in Foods? Of course, there are also natural sugars found in fruits too, and while these are a healthier choice since they also contain fiber, they could still have a negative effect on your teeth and so eating them at mealtimes and cleaning your teeth after consuming them is the best way to minimize any damage. 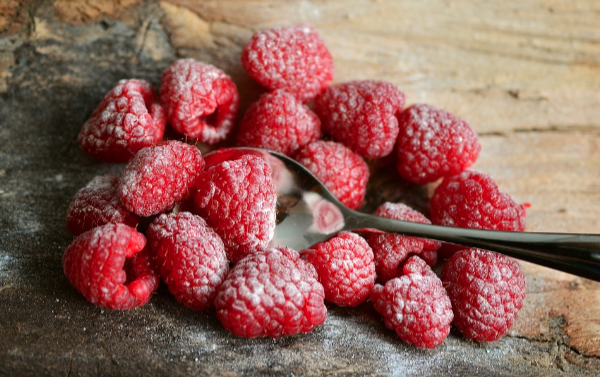 How Can I Reduce The Amount Of Added Sugar in My Diet? Added sugars are everywhere. Take a look at the bottles and jars in your kitchen cabinets and you’re guaranteed to find tens of products that you had no idea had been sweetened. So, how can you go about limiting your sugar intake to protect your teeth from developing yet another cavity? Here are 5 tips to make it easier. Processed foods contain a lot of added sugar since manufacturers add it liberally to improve the texture, bulk and taste of their products while ensuring that they have a long shelf life. One easy way of cutting down on added sugars is to simply limit the amount of processed food you eat, instead opting for foods which are only minimally modified or in their original state. Even processed foods which appear to be healthy may still be packed with cavity producing sugars. Take for example packaged fruit snacks – a single serving has the same amount of sugar as an entire piece of fruit, and none of the positive benefits of fiber. Whole foods have no added sugars and are a healthier alternative, not just for your teeth but for your general well-being. There are many ways in which you can sweeten dishes without actually adding any pure sugar. Fruits, extracts and spices can be used to make tart flavors more palatable, while avoiding cavity causing damage. For example, packs of flavored yogurts may seem healthy, however they are actually packed with sugar, with some of them having several teaspoons in every serving. One way to avoid this (and save money at the same time) is to buy unsweetened plain yogurt then add berries or dried fruit to add sweetness. Experimentation is the key – many people find, for example, that instead of using sugar on oatmeal, a little nutmeg, cinnamon or vanilla can make a big difference. While some people think that by limiting the amount of sugar that they eat in their meals is enough to prevent cavities, in fact a lot of the damage is done by sugar in beverages. Sports drinks, sodas and iced teas are a huge source of sugar, and one that is often ignored. Many people are shocked and surprised to discover that fruit juices, which are widely believed to be a healthy choice, are actually full of sugar, with around 6 teaspoons in a single glass of regular orange juice. Choosing water is the best way to avoid these damaging drinks, and you should make it your first choice with meals and whenever you’re thirsty, leaving sugary alternatives for special occasions. If you find water boring or unpalatable, you can liven it up by trying a sparkling variety, or adding some cut fruit like lemons or oranges to it. Milk is another good choice for the health of your teeth, however you should always make sure that it’s plain rather than a chocolate or strawberry variety which has been sweetened. If you can’t bear the thought of finishing off a meal without the prospect of eating a dessert, there’s no need to worry. There are plenty of sweet foods that you can eat for dessert that don’t contain pure sugars and which won’t result in a cavity. While chocolate might be out (except on special occasions of course), everyday desserts should be more about natural fruits than about cakes and cookies. If you’re baking for yourself, you should reduce the amount of sugar you add to your mix, or use a natural sweetener instead. Alternatively, you could try a sugar free artificial sweetener such as stevia or xylitol in your cooking. While we all know that we shouldn’t snack between meals, we all do it from time to time. However, the type of snacks you choose can make all the difference to the health of your teeth. Choosing candy bars, cookies or cakes will simply be loading your mouth with sugar, and the more you eat, the higher the chance of a cavity forming. By simply switching to a snack option which contains no added sugars like unsalted nuts or rice cakes will not only improve your dental health but will also help you to shed any excess pounds. Be wary, however, of snacks that you may believe are healthy because of their good reputation, but which are actually very high in sugars. Cereal bars and dried fruit are just two examples of snack foods that many people view as a healthy choice but which can cause decay. It isn’t all about the amount of sugar you consume, it’s often more about the frequency with which you consume it. If you’re sipping constantly all day on sweetened coffee or sugary sodas, your teeth will be under constant attack. 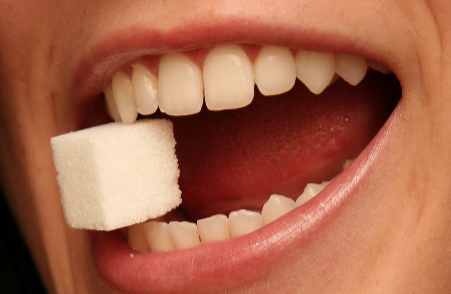 It’s better to consume all your daily sugar allowance in one go rather than spreading it out in small amounts during the day, so try to restrict any sugar intake to mealtimes and try to always find time to brush your teeth as soon as possible after eating to remove any build up before it has time to settle on your teeth and begin to attack them. 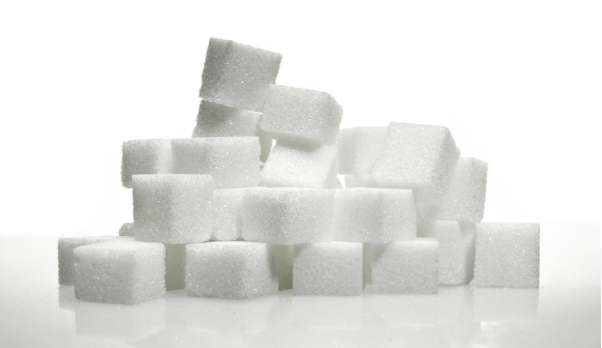 By taking these five simple steps to reduce your sugar intake, you could see a great improvement in your dental health, and with any luck you’ll never develop another cavity!